Marcia Hill, 53, a participant, promoter, organizer, and official of LGBT sports teams and events for almost three decades. She was a chief force in growing the Chicago Metropolitan Sports Association from about 200 members in 1983 to almost 4,000 today. She was also active in helping Chicago to host the 2006 Gay Games. For nearly three decades, Marcia Hill has been a driving force in promoting the LGBT sports scene in Chicago as a member of the Chicago Metropolitan Sports Association. As an athlete, coach, manager, league commander, sports official, and board member, she has taught, inspired, recruited, and created new leagues—activities that have enriched the lives of many individuals within the LGBT communities. Hill moved to Chicago in 1983. Upon her arrival she joined the Gay Athletic Association. The GAA, later the Metropolitan Sports Association and now the CMSA, is said to be the largest not-for-profit, all-volunteer sports association in the Midwest. Hill has been a leader in the organization, which provides positive role models, healthy social outlets, and a sense of camaraderie while allowing participants to enjoy recreational or competitive sports activities. In various capacities, Hill dedicated herself completely to promoting the sports program and benefits of the GAA, MSA, and CMSA. Through her consistent efforts, she helped to increase the association’s membership from a couple of hundred in 1983 to almost 4,000 in 2011. The impact of that level of growth, community involvement, and social interaction cannot be overestimated. Besides increasing membership, Hill has been dedicated to promoting goodwill within the organization while finding ways to improve it. For 15 years she has served on the CMSA board and was its president from 2007 until 2010. During her tenure, badminton, dodgeball, soccer, and kickball were added as new sports, helping to attract additional community interest and involvement. Hill was officially inducted into CMSA’s inaugural Hall of Fame in 2007. Over the years, she has been involved in every aspect of the association, from rules to finances to field conditions. 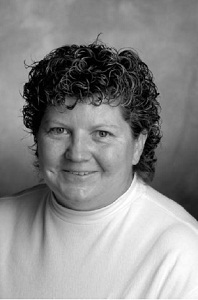 In 1988, Hill established women’s flag football and remained its commissioner until 1992. She was also chosen as head referee in Gay Bowl VI. In 2006, Hill was director of women’s flag football for the Gay Games VII held in Chicago and was helpful in the Gay Games organizing group, providing expertise to display the strength of Chicago’s LGBT sports scene. Since 2001, she has been a well-respected sports official for men’s and women’s softball, volleyball, flag football, and basketball. Hill continues to reach out to individuals interested in sports as a healthful outlet and a means to socialize and build friendships. Her contributions to the athletic and social fabric of Chicago’s LGBT communities have shown enthusiasm and passion. As a result of her energy and commitment, those communities have been made stronger.